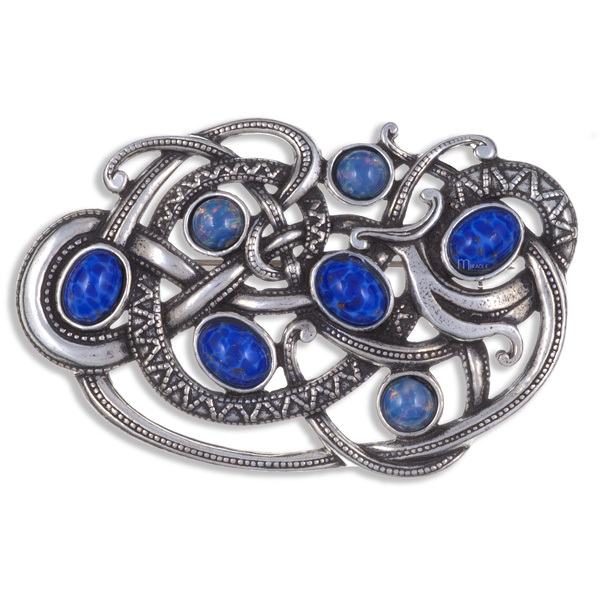 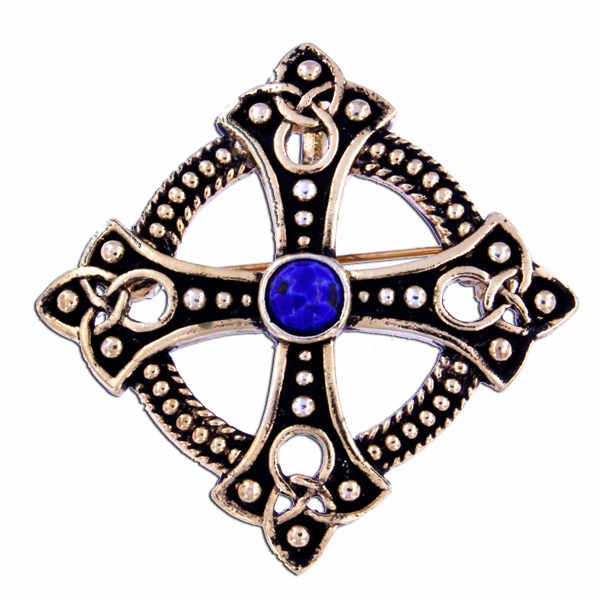 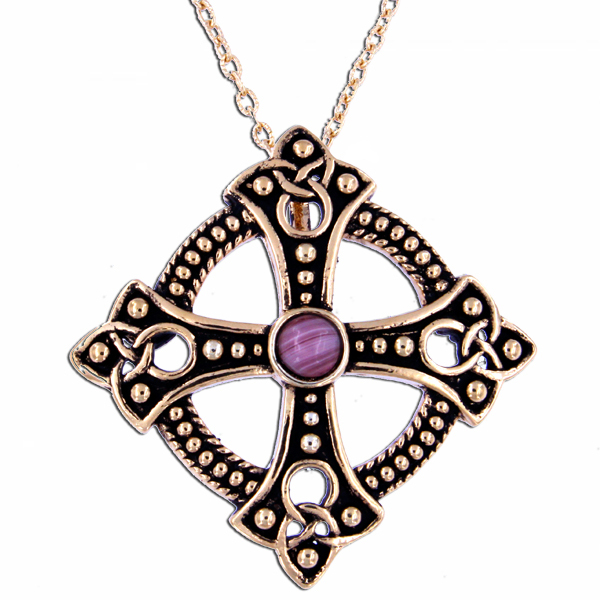 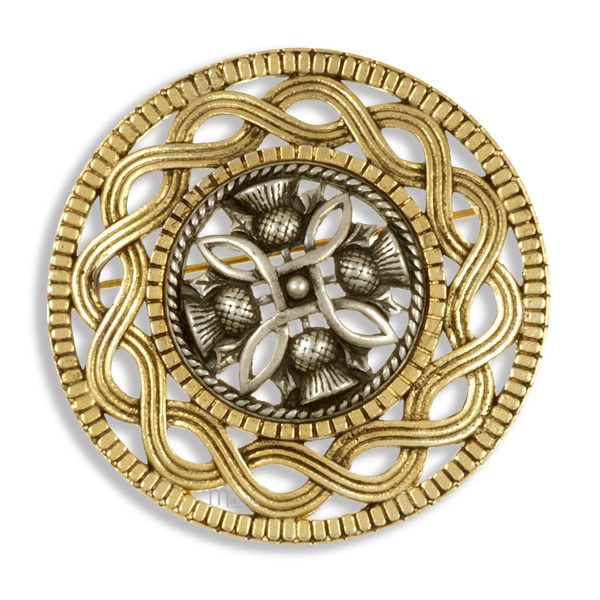 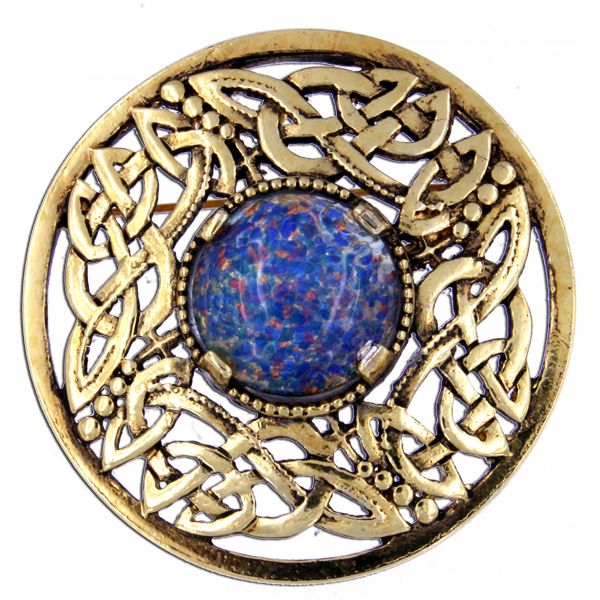 Antique gold plated Celtic brooch with trefoil knot design. 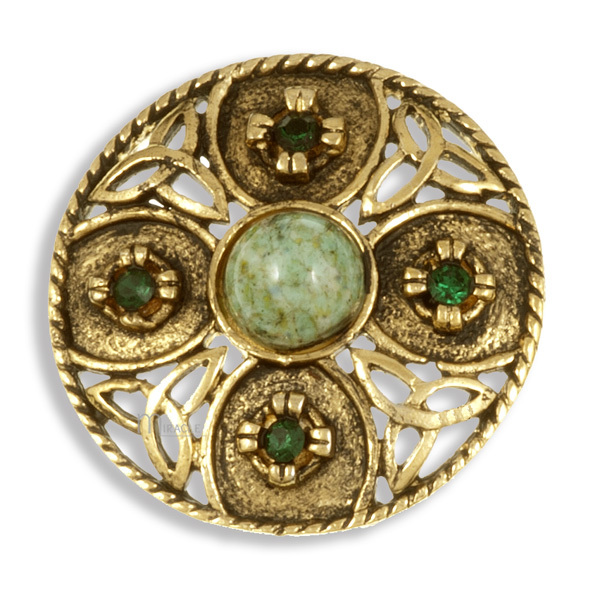 A round antiqued gold plated pewter brooch with Triscele knots, a central Iona stone and four Emerald glass crystals. 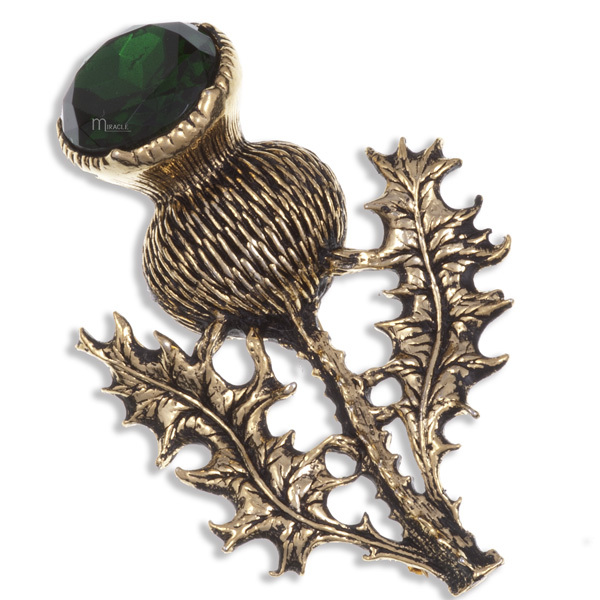 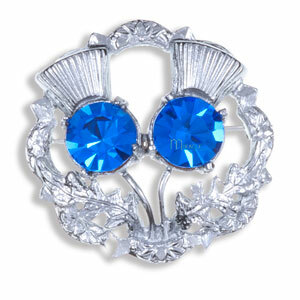 Secures to a garment by way of a pin with locking, safety catch.